Secure One is a very successful security company in Leicester, operating in both the domestic and commercial sectors. With an ambitious 3 year corporate target, it was clear to the Board that they would need a robust growth plan and that marketing would need to play a big part in the journey. However, with no in-house marketing function there was a gap in expertise which needed to be filled. Following a referral, Secure One contacted us to invite us to a scoping meeting to understand who we have worked with, how we work and if we were a good fit for Secure One. 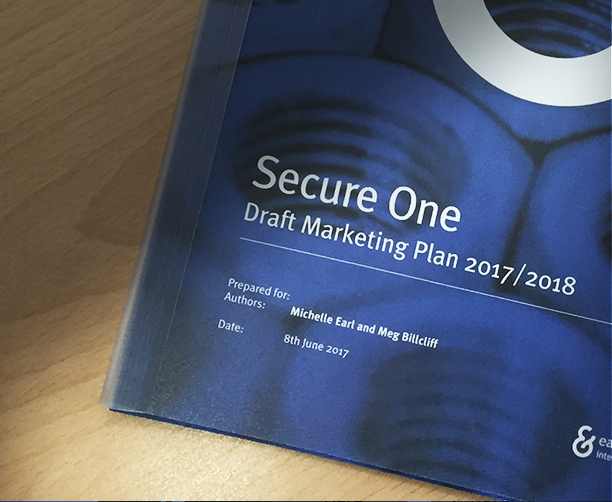 It was quickly recognised that Secure One would benefit from our consultancy service to deliver a full marketing strategy and 1 year plan, taking them a step closer to achieving their business goals. A half day strategic marketing workshop session was then held with all key stakeholders in the business. This session is critical in developing a marketing strategy and plan. All stakeholders come together to agree a joint vision for the business, information is shared on how business is currently won and retained as well as which business delivers greater margins and therefore is more desirable. Internal processes are discussed and best practice sought to ensure that when new leads are delivered, the business is in the best possible shape to follow these up, in terms of resources. Following the workshop, we then went on to develop a fully cost 12 month marketing plan. This plan covered all aspects of strategy creation and tactical roll-out and was presented back to all key stakeholders for agreement. Secure One board members approved all elements of the proposed plan and incorporated the investment into their annual budget, happy to be working towards their ambitious 3 year growth target.